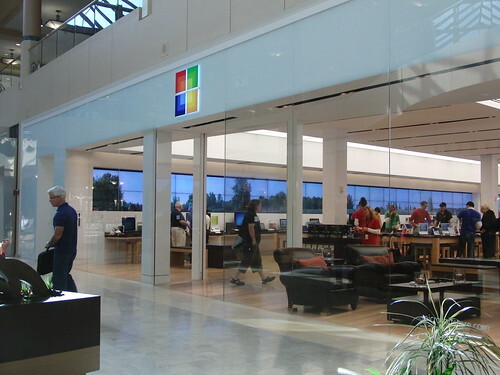 Ten years ago I went into a Microsoft Store.It was a wide open modern space, with wooden floors and low tables showcasing Microsoft products. 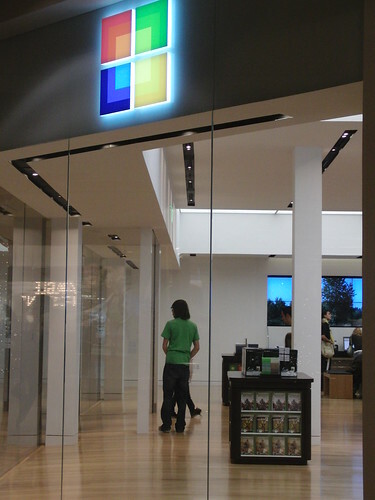 Ten years ago I went into a Microsoft Store. It was a wide open modern space, with wooden floors and low tables showcasing Microsoft products. Last week we visited the two new Microsoft Stores. They were wide open modern spaces, with wooden floors and low tables showcasing Microsoft products. Should we be surprised by the similarity? Not really, as there aren’t really that many different ways of selling hardware and software. It needs to be accessible, easy to demonstrate, and with enough space for a family to look at the hardware and software they’re buying. 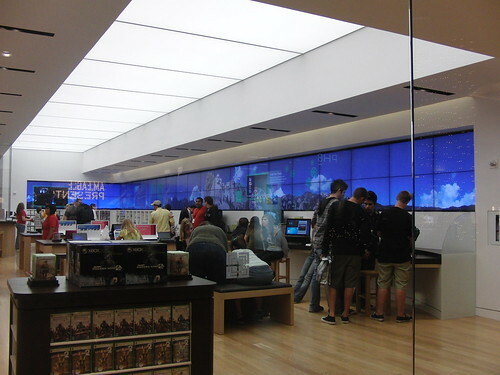 An Apple Store is much like a PC World, and a Microsoft Store is much like a Sony store. A roadtrip across the South West US took us between LA and Arizona, and we took the opportunity to check out Microsoft's new retail venture. After all, we'd done something similar for the first couple of Apple stores, so it only seemed fair. Perhaps the biggest difference between the original microsoftSF in San Francisco’s Metreon complex and the two new stores in Mission Viejo and Scottsdale is the hardware. Microsoft is now selling PCs, not just software and peripherals. That’s because in the last ten years, the computer has become the experience – and the PC experience hasn’t been the best. That’s changing, with new hardware and new software, and also with what Microsoft is using its stores to pioneer – its own install images. If you buy a PC in a Microsoft Store it’ll have the same basic software image, whether it’s HP, Lenovo, or Sony. That means there’s no crapware clogging up the bootpath, no applications asking for registrations (and for cash) when you start up for the first time. It’s why most IT professionals don’t even bother to run the default installs on their home PCs, they just install a clean OS from scratch. Microsoft has finally realised just how much damage bundled software is doing to the PC ecosystem – and to its own image. It’s impossible for Microsoft to force OEMs to stop installing crapware (after all, it’s a revenue stream for those companies), and if it did, the combined anti-trust forces of the world would come down on Redmond like the proverbial ton of bricks. There is a simple answer – led by example. Showing consumers just how much simpler and easier a boot is on a clean image, especially on common PCs sold in many different outlets, stands a greater chance of changing OEM behaviours than any other means. That clean image approach is also why Microsoft handed out several thousand laptops to attendees of its Professional Developers Conference. Getting clean, well configured hardware in the hands of engineers will help develop a clean boot culture. The Microsoft stores aren’t about selling PCs and software – they’re about changing perceptions. And if consumers get a better PC as a result, that’s all to the good.